DiscountMags: 2 magazine subscriptions for $10! 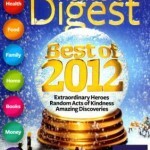 You are here: Home / magazine deals / DiscountMags: 2 magazine subscriptions for $10! If you love magazines, DiscountMags is having a sale this weekend! You can get 2 magazine subscriptions for $10! Choose from favorites like Weight Watchers, Rolling Stone, Taste of Home, and more! Buy them for yourself or give them as a gift to someone else! Here are some of the titles you can choose from: there are 36 titles total! You can add additional titles for just $3.99 each! 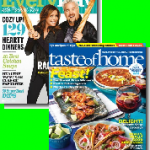 DiscountMags $5 sale: Taste of Home, Weight Watchers and more! Weight Watchers Magazine: One year subscription for $4.50! 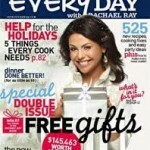 Taste of Home and Everyday with Rachael Ray Magazine subscription for $7.99 per year!